Here's our complete Battlefield 5 guide, featuring tips and tricks, best weapons, best classes, building tips, and more. Battlefield 5 features a microtransaction currency, and it comes in the form of Company Coins. In this Battlefield 5 Company Coins guide, we'll be walking you through how to earn Company Coins in Battlefield 5 as quickly as possible, so you can spend them on your weapons, soldiers, vehicles, and more. If you instead need help with anything else relating to DICE’s latest game, you’ll want to check out our Battlefield 5 guides hub. Here you can find all the essential tips and tricks, and complete guides index, and more for the game. Firstly, we should point out that Company Coins can be earned both in-game, and purchased separately. You can absolutely go ahead and spend your own money on them should you wish, but they’re available to be earned in-game by completing tasks and challenges. 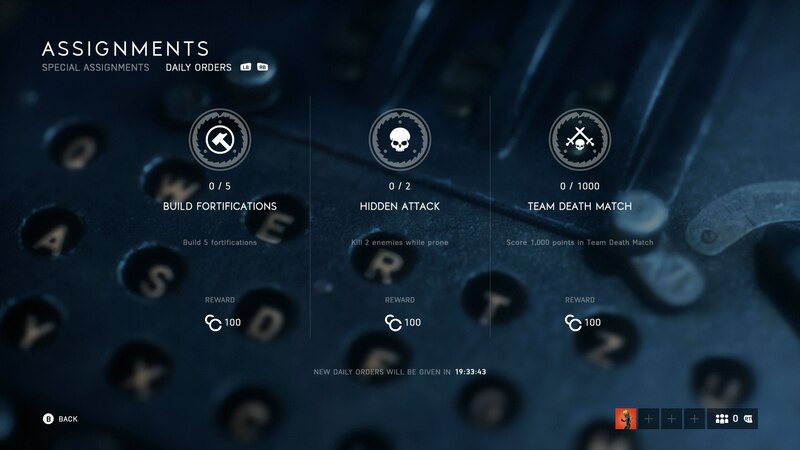 Speaking of earning Company Coins in-game, this is done through completing Assignments. 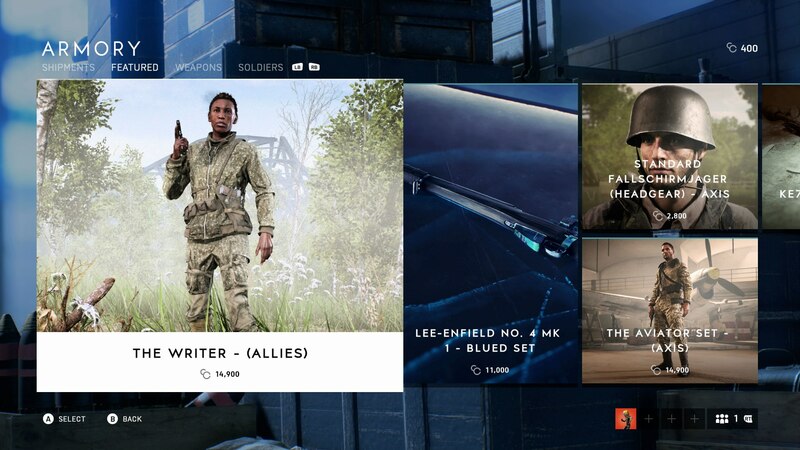 Click on the ‘Assignments’ option from the main menu of Battlefield 5, and you’ll be presented with two categories: Special Assignments, and Daily Orders. 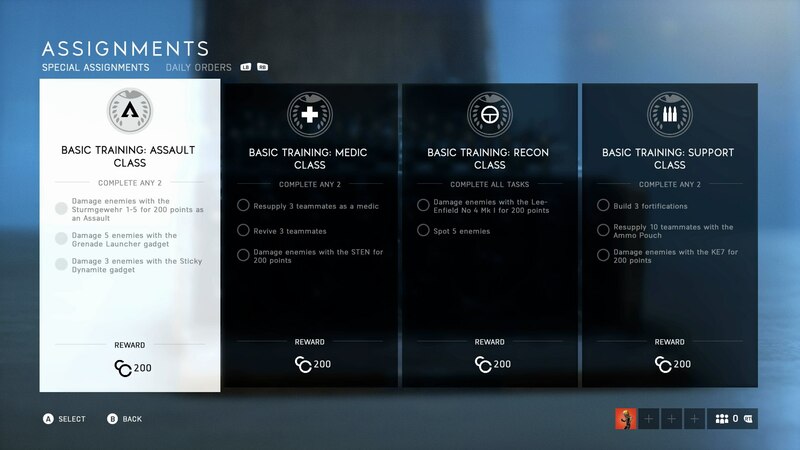 The former of these is updated semi regularly by DICE, and as soon as you get your hands on Battlefield 5, you’ll have a Special Assignment for each class in the game, tasking you to complete class-specific activities for 200 Company Coins each. Finally, you'll be able to earn Company Credits by simply levelling up in Battlefield 5. As you can see below, we earned a total of 1,000 Company Credits from increasing our rank twice in the same game. But what can you do with your Company Coins in Battlefield 5? Head to the ‘Armory’ from the main menu, and you can see a whole range of new cosmetic options that you can purchase for your own Company. This includes options like new soldier outfits, new weapon skins, and much more. All the options available for purchase in the ‘Armory’ are purely cosmetic, and won’t affect the gameplay of Battlefield 5 at all. 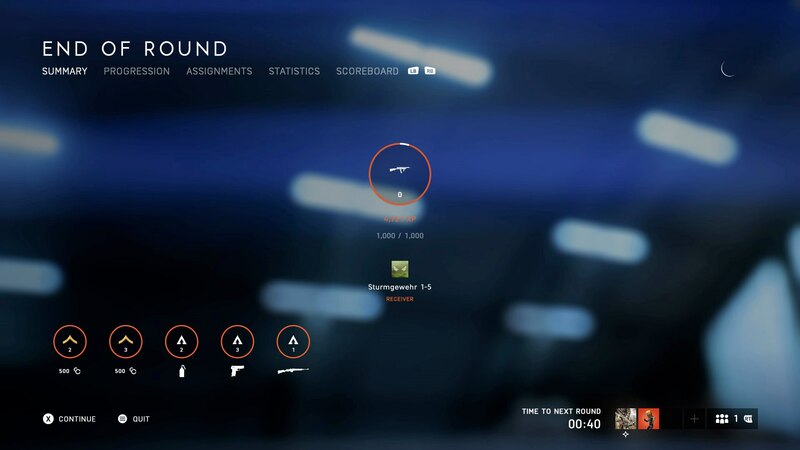 Now that we’re all done with this Battlefield 5 guide on how to earn Company Coins quickly, you can check out our additional guides on DICE’s latest game. Head over to our Battlefield 5 Grand Operations guide, or our Battlefield 5 guns guide for more.